Here’s the thing, for people to say they are religious, or spiritual, or academic, or advocate, whatever the case may be, there must exist validity. If any of these terms, vocations are to have validity, that gap between the real and the ideal cannot be so unbridgeable that it all simply becomes pie in the sky. There’s got to be a chance for justice on Earth. We are not fooling ourselves, or any one else for that matter; as much of what many of us write today, we have become the point of the arrow of social revolution. But with such a bland world currently, where ignorance profoundly has experienced social growth, a social revolution could also mean simply getting back to quasi-normal, or less ignorance and more toward something of a dignified and humane culture. The process is dependent upon the individual, the contract within themselves so to speak. Thoughts can be mundane, ordinary, or simply workable; or, the process can be extraordinary, enlightened, workable in an abstract way, but in time so tremendously acceptable it indeed becomes an evolutionary act – Zen and the history of the screwdriver, if the written historical form even exists . . . but oh my goodness, the changes that transpired and built off such a tool . . .
With many of us there exists no difference between spiritual practice, political action, animal advocacy, and our ongoing day to day life. One good example that I experience and see daily — Horse people tend to their horses, and those with heart and soul have time to also give toward saving horses. The same with many other groups of people – oddly, none of them have developed the mind-set that so many active groups do day-to-day; there exists today a sub-culture within our society, of those that care-tremendously and yet feel so disconnected. If this realm, or culture, if all decided to gather together, the numbers alone of this particular sub-set or sub-culture could, and obviously should, become a power where people and animals become the priority, business and corporations secondary and support people-animals endeavors. Yes, revolution is this simple, and only when applied becomes Truly Revolutionary. Is the revolution of this type going to be earth-shattering? It is clear to many, others perhaps not so clear and even non existent; ironically, the answers right to our front. Just as ironic, the answers have been, and continue to be right in front of us all. But we are killing the very animals that we can indeed learn significance from . . . Cohabitate in Life . . . We are all creatures of this planet, all live on this planet, and none superior to the other . . . Look where superiority gets us! Look at the destruction of our planet, from our decisions . . .
What was clear for centuries past becomes very clear today. People contribute little to the animal world compared to what animals have contributed to our world, and in reality to our very environment (yet ignored often). Oddly, the disrespect toward animals currently generate suffering, horrific abuse, and death of so many species on a weekly basis that our culture, of ignorance, is placing our very existence into question for any type of future generations to even exist. All wildlife remains an essential element in our society, as well as environmental habitats. Through all of this there is a light at the end of this tunnel of destruction caused by ignorance. Many today, as Advocates – oddly just as simply as the screw driver appealed toward evolutions of machinery and so many other implements, people concerned with animals and their circumstance, are revolutionary. Right now we can appreciate, and even acquire a deeper respect for what animals have given us and remain giving us today – the capacity for enlightenment, to discover our very heart and soul and through this simple act of caring. Looking into the eyes of an animal of any type, we can see ourselves, our virtues, our very soul . . . from then onward we gain a respect, an acknowledged appreciation for the presence of the animal kingdom. In the same pretense, we have also gained a sight into what is wrong today, and surely needs corrected. The use of drugs on our Wild Horses on our Public Lands, depletes the viability (fact and well referenced in wildlife and ecological history), and opens the door to exploitation of a very limited amount of used-to-be Wild Horses, as an end-product. 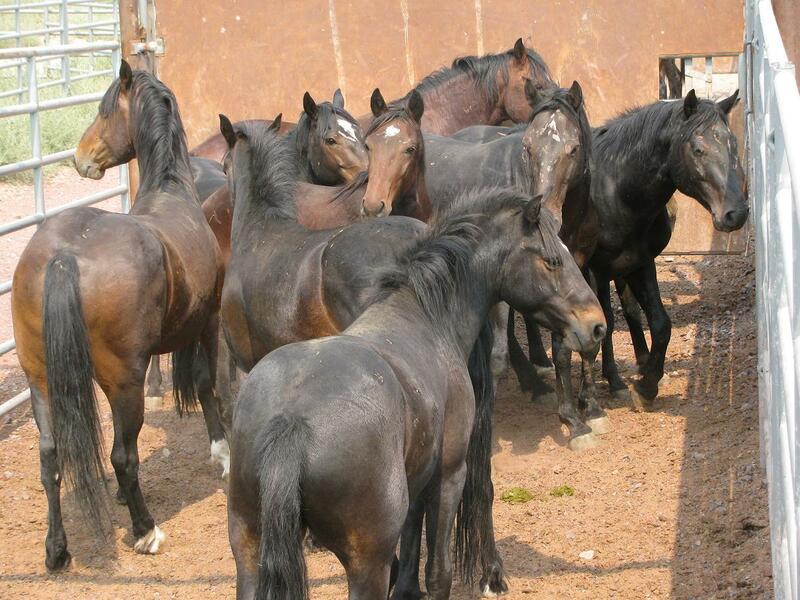 Breed control has led, most often at such a capacity the Wild Horses are now suffering, to extinction – history of our wildlife within today’s environment clear on this ultimate-reality – It will lead to the Extinction of our Wild Horses as well – Shortly. Animal Non-Profits not of a humane-mindset any longer, but an odd ignorance toward planned exploitation and contrived profits at the sacrifice of wild horses. As well, these same non-profits portray daily the lack of ability or mobility to really grasp the plight the animals are currently suffering – the Wild Horses on Public lands just one of many more examples of our wildlife being exploited, and for several reasons. This exploitation even to the point of being hunted down and killed (Elk, deer, Cougar, Bear, et al.) — both legally and illegally, and numbers of availability based on false science and bad data gathering — Yes, we are facing many extinctions today of America’s wildlife, based on false reasons of capacity, and favored animals in the wild are nothing more nor less than a narrow scope of species, also to be hunted down and killed — ultimately to make trophies for those of ignorance to do so . . . This priority needs changed, and the quicker the better . . . The modern social capacity toward ignorance, although, has brought a widening gap between us. The forests and the animal kingdom are over there, and the supposed civilized world over here in the cities and small towns. Sometimes in accepting the world, the chapter of what animals bring to us as fellow living beings on earth and how we are all connected, is overlooked; an ongoing travesty for sure. The world of intellect does not consider the heart, the soul, or the animals. The shift is the realization that we all grew up in the realms of nature, of animals, of a diversity of natural elements – not just smart-phones, guns, oil companies, abusive agriculture and corporations, and computers . . . The Circle of Life has always, and remains, very significant with many cultures and societies’, we are not alone within this ideology — A Truth: everything being connected within this circle. The world is being challenged to find a new balance. Many are looking back, toward the cultures that understood and reflected the facts of “all” on this planet are connected, and all things must be respected – this being a priority. With this as a priority, all other circumstance fits into place, within continuity if you will, toward a much better life for all that exists on this planet – animal species and environment alike. The ideology of one-supports-the-other independently and yet as a whole – is a reality, and something that can save the human-race from becoming more ignorant than currently exists, which this ignorance will eventually wipe-out the human population on this planet. Our society has become so bland; it is folding in upon itself — suction. We see cruelty to animals promoted as attrition in order to place food on our tables every morning and evening. That is simply not true – just from the untruth within this situation, many to include myself perceive a burst of energy from those who see it as a wrong, not of attrition nor necessity. It is those things that will change rapidly; it is simply a matter of time is all, when people are totally fed-up with the lies, the ignorant reasoning, and the forfeiture and sacrifice of all the things that are good, the things in our society that we all hold dear and close to our hearts — replaced by something so ignorantly profound or short-term profit for so few – at the sacrifice of so many. It is unfortunate we, as a society, have learned to accept things. Essentially this means we have learned to look the other way. Today many people look the other way in the matters of America’s Wild Horses. To those that do, many other people find their excuses profound — and why join such endeavors as BLM management situations, roundups, or PZP scams on the public and worse, on America’s Wild Horses. All this built on false premise and lies! Those people supporting the Wild Horse travesty, along with the welfare ranchers and others who take part as well, their excuses given for abusive behavior toward America’s Wild Horses as if it saves them. In reality it does no such thing. 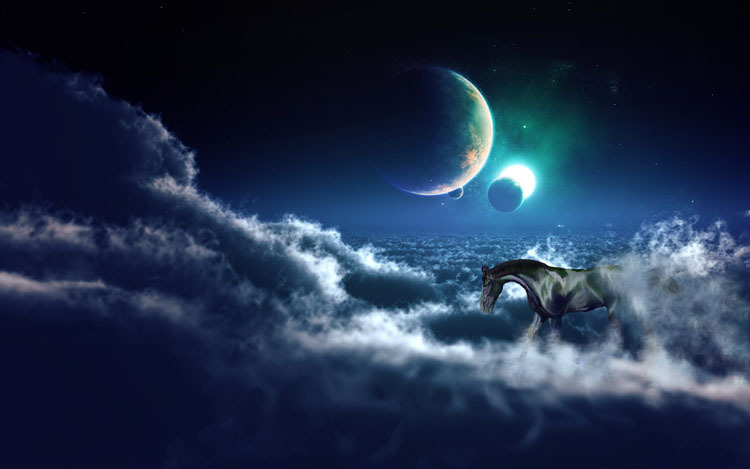 In reality it is death to many Wild Horses, then onward to extinction – and just plain wrong. History books will make this clear to all in the future, and will separate those that were Sheeple and followed with tawdry excuses and lies while merrily watching horses go to slaughter or die – compared to those of us who attempt to stop such activity. Wild Horses are not a designated species, other than being a horse. Horses of this breed mixed with that breed, so we are led to believe, develop a pecking order of priority, of wants, of best horse versus worst horse scenarios, which remain nothing more than perceptions. This is also why we have such difficulty establishing Wild Horse’s as distinct species, in order to protect them. Perceptions very significant, but some perceptions extremely negative, not noteworthy and untrue, as this particular discussion will Show beyond a doubt. The best examples in specific breeds simply establish conformity (more involved but kept simple within this discussion and counterpoint) to communicate the type of horse an individual may want or own by purchase, and indeed pay the price for the lineage. Once again perception is everything here; thereby, we have not acquired specific distinctions other than a loose and non-distinct paraphrasing of specific horses and amounts “sold as” defined. Not so ironic, the price of a horse brings about its distinction, its overall use, or indeed the outstanding Priority as a horse . . . a priority to save or discard . . .
Bring up the subject of Wild Horses on Public Lands (non-distinct) – no one quite sure how to explain, but by golly they will tell you all about it in several thousands of words or more, and you will leave even less educated, and often worse, sorry that you even brought the subject up. Counterpoint: Those knowledgeable about Wild Horses, with no vented monetary or land interest, will be truthful and explain the necessary contribution the Wild Horses make to our Public Lands, and indeed do not consider Wild Horses worthless what so ever. The term I use is “old west ubiquity” – which is an extremely bias belief, a worn out perception of a belief, that what matters to those supposed self-claimed “old western cowboys – ranchers” in what makes-up a good horse is all that matters, and that these “old western cowboys – ranchers” set the standard everyone else should live up to in the matter of horses. This is very wrong and over time we can see how wrong it is, through experience; we can actually see what the problems are and what the remedy or resolution can be. A large part of what is wrong in Wild Horse Management today, is directly related to the antiquated and ignorant belief systems, which remain extremely bias, that has been around for to many decades — “old west ubiquity” – sadly our government employee’s ignorant as well, often showing buffoonery and incompetence in the simplest of tasks within any type of Horse Management. Their bias toward Wild Horse Management related to special interests only, remains much more extreme. Then there are those that exist that know better, and knowledgeable about such things as being “Humane” and being knowledgeable in the matter of Wild Horses – the non-commercial values of such endeavors. We have no special interests or no payroll, nothing but good old fashioned honor, integrity, ethics, and experience at good horse management principles. Of course the discussion on such matters as truth, ethics, perceptions, and ignorance cannot go further without an all inclusive comment on the WH&B Act of 1971. Rather than dwell in the legalities, let’s ponder the ideology of why the WH&B Act of 1971 come into creation. The law passed Congress unanimously at that time, with American’s supporting it unanimously as well. Here we also delve into ethics and the truism of the term “Humane” and not the fractured particles of being somewhat Humane via a supposed well-managed application of Acceptable Abuse. The overall value of the ethical standard of the WH&B Act of 1971 was a truism, and why the Act passed unanimously, was that very few cowboys – ranchers actually knew how to handle, or knew about America’s Wild Horse’s at all, other than their presence on Public Lands — as their continuous ineptitude and scornful bias overlapped any type of common sense or moral standard what so ever. “Most people who have been placed on the Wild Horse and Burro Board are like-minded in the fact that cattle, sheep and rangeland take precedence as an ultimate priority – the fact and truth is special interest over-rides everything else, and over America’s Wild Horses on Public Lands. There is no diversity on this board what so ever, profound but true – simply a narrow scope of thinking and combined with total ignorance toward their own lack of capacity for judgment; which, by the way has developed no wholesome management paradigms over decades, never has and never will if not changed – after all, aren’t these the very people the WH&B Act of 1971 was ratified for, to protect America’s Wild Horses from? Yes, it was. American’s, and American institutions in particular, are adept at evasion and denial of suffering. Not only our government but our avenues of Agriculture, of Commerce, and of the daily consumer are all good at looking the other way. When did the transition of acceptable abuse come about? Some historians tell me around the beginning of the Industrial Era, and the consumerism that supported such endeavors. Also it was a time when people started to move from their farms and into the cities for employment, and the dream to become rich was so popular back then. While on their farms, they lived off the surrounding country-side, living with nature on a yearly basis. The aspect of their communing with nature on the farm eventually lost upon exit. Such items as horses simply become tools, animate objects for transportation, and maintained within that aspect – not of Humane Reasoning, but of utility and availability. Respect for nature and wildlife lost, washed away and sanitized by industry. In reality, the coexistence with nature replaced with corporate sales. When we explore the problem of ignorance, we often find the very core root of the problem starting quite simple, with innocent intention – whereas, over time it becomes quite significant, quite dangerous indeed, especially to those animals who joined the industrial work-force, where common abuse within daily management become nothing more than part of the mundane daily chore — and on it goes . . . Innocence Lost . . . The WH&B Act of 1971 was meant to protect the Wild Horses on Public Lands from the ranchers and other people who now populate, underhandedly, Board positions within what is now termed the Wild Horse and Burro Board, who irresponsibly Undermine the WH&B Act of 1971. Many American’s and taxpayer’s think these Board Members should go to jail. This has been ongoing for decades now, and has cost American’s not only a lot in taxpayer money and subsidies, who BLM and WH&B Board members make sure their friends and fellow ranchers receive — but has cost many Wild Horses their life, and disgustedly under unnecessary circumstances; from outright lies mostly, from that Board’s members. It is then compounded with the fact it was done at taxpayer expense, and taxpayer’s paid in large sums for these board members to make those decisions – irresponsible conduct, and some say even criminal conduct – and yet BLM employees, DOI employees, and others simply turn their heads and look away. Why? Because the perception remains, the Wild Horses worthless, but only to those ranchers and cowboys who are profiting over this particular perspective – Those who know better, and do not accept false-perceptions, and have well-rounded experience with horses, know the Wild Horses have not only a place in American history, as Icons of Positive Values and ethics, but a place in the very hearts and souls of American’s of every generation from the past, to the present, to the future – and for valid reasons. Not so ironic, it is all quite obvious and rather than look-away, take a look directly at the evidence – for example look at the budgets, look at who benefits from their WH&B Board decisions, look who benefits from the Bureau of Land Management decisions, look who pays for all of this (expenses and subsidies paid out, that some term highly criminal in nature), and then we all become quite knowledgeable. Then look at what the American Taxpayer receives in return for all of this money spent, and Wild Horse lives taken = 0! Had enough yet? The more knowledgeable people, especially in the matters of Wild Horse Herd Management, state clearly to place the Wild Horses back on Public Lands, and to leave them alone . . . No more expense of Wild Horses lives, no more taxpayer expense . . . The intrusion here and the mis-perception, is the term Humane being changed to Acceptable Abuse and bad treatment and death of Wild Horses, for false reasoning. As our society grew, and still grows, Humane Conduct toward animals and humans alike must take priority — a society must grow within a true humane structure in order to experience growth. The fact is the “old west ubiquity” was extremely abusive anyway, and needed to be changed, not admired and cloaked as a necessity for the survival of our culture. That is a lie of paramount deception, creates nothing more than destruction, and has only to do with greed. I realized by the 2nd chapter that their redefining the term “Humane” for tolerating and stating acceptable-abusive behavior was used. And the lies abundant in regards to what they told the public. Why am I mentioning it here – because the same terminology, i.e. necessary roundup, need of land for the incoming population, destroying pertinent and economic priority lands, and a non-represented segment of America, among many others terms, the same. Government employees, BLM supporters, and other contractors – you should be ashamed of yourselves, you disgusting people! History will define what you people are doing and have done here – make no doubt about that, and it will not be a pleasant or nice history of what you are taking part in . . .